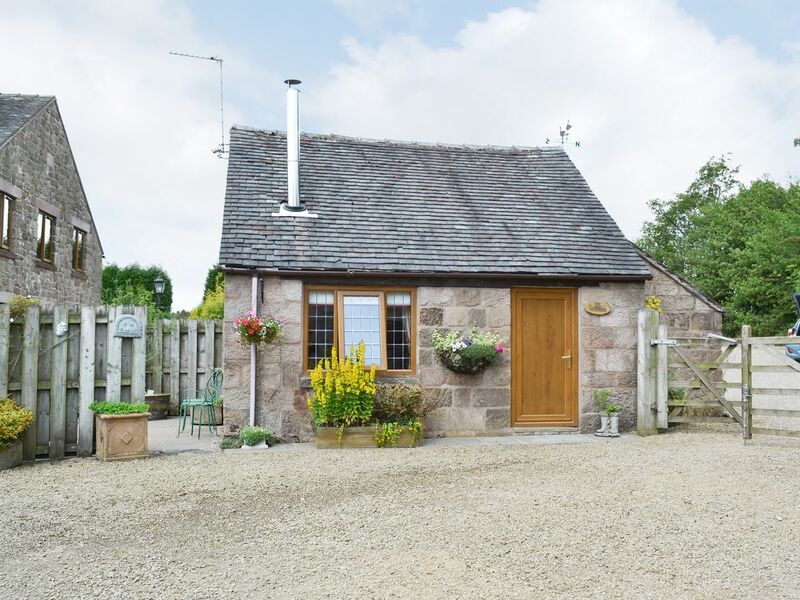 Set in an idyllically peaceful position in 6 acres of landscaped grounds, on the borders of Cheshire, the Peak District, Derbyshire and Staffordshire, these lovely properties offer a wonderful holiday base from which to explore the many visitor attractions in the area. They are immaculately presented combining a good standard of furnishings with beamed interiors and the state-of-the-art swimming pool complex is a real treat. Sport fishing (carp and tench) is available on site, £5 per day. Within 6 miles are Little Moreton Hall and Biddulph Grange Gardens (both NT); the village of Biddulph is 1.5 miles away and offers pubs and shops. Beautiful Rudyard Lake for fishing, walking, rowing boat hire and small steam train is 6 miles. Alton Towers and Splash Landings swimming complex, the Monkey Forest at Trentham Gardens, Waterworld, indoor skiing and bowling at Festival Park in Stoke and the pottery museum are all within 15 miles. Chatsworth House and Haddon Hall, 30 miles. Horse riding locally. Shops and pub 1.5 miles. Awesome Walls Climbing Centre is located in the enormous engine house at Pear Mill. It is the biggest climbing centre in England and offers an impressive amount of superior, top-roping and bouldering to cater to all climbers. The centre is split into three individual areas that include the Main Engine House, the Tall Wall and the bouldering area. The main area is the Engine House and this is where most of the climbing surfaces are as well as the chill ledge that overlooks the lead climbing arena. The climbing area here contains a collection of angles from slabs to overhangs around the perimeter walls. Located in the centre is the amazing "The Awesome Fin" it has four lead lines and seventeen top rope lines together with an abseil platform on top. Also found here are the 'Big Slabs' they are two 13m slab walls that are on opposite sides of the engine house. The "Tall Wall" is what is says, it extends to 23.5 metres and has 21 lines to climb on. The bouldering area contains 400sqm of bouldering. Staff are friendly, helpful and very professional, as well as being encouraging if it is your first time at this activity, and give plenty of advise and guidance. Anyone can get involved in this activity regardless of fitness level. All equipment can be hired here so you don't need to take anything along. The Cafe is a great place to stop after an exerted climb or to spectate if you are not climbing, they have a good selection of beverages and snacks available. The centre is open daily, Monday to Friday 10.00am to 10.00pm and Saturday and Sunday 10.00am to 8.00pm. Prices are very reasonable and they offer specials so worth checking the website for details. Awesome Walls Climbing Centre offers a fun and thrilling activity in a safe environment and is a great place to come to learn a new skill and is real value for money, it is an awesome place to come for people of all ages. Asylum Paintball is different in that it is an indoor paintball arena and will not be affected by the weather, regardless of the time of year you can enjoy your time here. Housed in a massive 30,000 sq ft building, you enter the war torn streets of Mancunia where you will have to overcome a number of obstacles and challenges to conquer your enemy. Once you enter the combat zone your survival instincts kick in and the game really begins. The facilities and equipment at Asylum Paintball are excellent and the staff are extremely friendly and professional and very thorough in going through the equipment and safety procedures so that you are ready and confident before you start your experience. Full equipment is provided all you need is loose comfortable clothes and appropriate footwear. The minimum age to engage in paintballing here is 11. If you are looking for a thrilling and exciting yet exhaustive day out then this could be for you, you will leave with aching muscles and a few bumps and bruises but it is all worthwhile for a great day out. Vertical Chill Ice Wall offers an alternative and fun day out. Located in the heart of Manchester within The North Face Store, Vertical Chill offers you the opportunity to experience a climb up a solid concave ice wall alternatively, you might use the base as a practise run for a trip to a colder climb. They offer a range of sessions including, lessons in learning how to ice climb, climb and hire for the experienced climbers both options, include all equipment and supervision, however, if you are an experienced climber then you can just opt for the turn up and climb, this does not include any equipment just supervision. The wall offers challenges to all experience of climber, from novice to accomplished, with alternating routes that provide varying levels of difficulties that include pillars and an overhanging section. In addition they have an overhanging drytooling box the result will leave you exhausted. The team here are all professional and highly trained thereby, ensuring your safety, they explain all the equipment and the relevant procedures before you start your climb. The climb wall will leave you exhausted, with aching muscles but exhilarated at having achieved the climb. If you are adventurous and looking for a new activity then this could be for you. At present only over 14's can partake in this activity. Vertical Chill Ice Wall is well organised and professionally run and offers a real sporting challenge, so if you are interested in trying something new this could be ideal. Let your kiddies play and play while you enjoy a well earned break in the quality café overlooking the lovely Derwent River. More suitable for younger children, with a wide choice of slides and activity areas to choose from. Boasting a fascinating medieval history, the town offers a huge variety of pubs, restaurants, bars and take-aways as well as some lovely shops in the centre. Within the local church, St.Laurence?s, evidence still remains of a 12th century structure; a listing for which can be found in the Doomsday Book. Paintball HQ is Manchesters premium paintball site situated in fifty acres of changeable woodland grounds, and has some interesting features such as ditches, streams, swamps, forts, pillbox's and lots more obstacles. Paintball is a game that everyone over the age of 12 can participate in and have a fun and enjoyable time. Whether you are a first time player or a seasoned player you are assured a great time here. Paintball HQ provides all the equipment you will need for your day and the staff are tremendous very friendly and professional, they go through a full safety briefing before you start out and explain how to use the equipment so you are confident heading out to combat. You can choose between a number of game zones and terrains to test your abilities and strategies whilst you strive to take over your opponents base. It is a game of thrills and excitement and although you will leave with aching muscles and a few bumps and bruises you will be so exhilarated you won't mind. Get yourself some loose clothes and suitable footwear and take yourself to Paintball HQ for a fantastic day out, you won't be disappointed. Coopers Square offer a wide array of favourite high street stores. Café restaurants within the complex offer a relaxing break. Don't miss the chance to see the gorgeous landscape that surrounds the Sett Valley Trail. This 2.5 acre recreational path serves as a guide for walkers, joggers, cyclists and hikers as they embark on a serene journey that is good for the mind as well as the body. The trail runs along a former railway line, offering a glimpse of lush countryside. Macclesfield Golf Club is a long established club that has been extending a warm welcome to both members and guests for more than 100 years. The club enjoys a prominent position on the hillside where you get some wonderful views of the surrounding Cheshire countryside, particularly from the 7th tee. It is an 18 hole par 71, parkland golf course that is continuously being maintained and updated to adhere to its high standards. The course is challenging not least owing to the undulating hills but there are a number of obstacles including blind holes and deep bunkers and is therefore a good test for any golfer. The fairways are well presented and the greens are fast enough. The staff throughout from the pro shop to the clubhouse are really friendly and very professional and make you feel very welcome. The clubhouse is inviting and comfortable and the perfect place to meet after a round of golf, they have a good varied menu, the food is freshly cooked and really tasty, the service was very good and prices were very reasonable too. Macclesfield Golf Club is a great course with very high standards and very welcoming, the green fees are great value and views are lovely on the course, it is a friendly and welcoming club and definitely worth visiting if you are in the area. Wilmslow Golf Club is a parkland course in a figure of eight layout that encircles a meandering stream, it is a 6,635 yard par 72 course. The greens are flat and in excellent condition as are the fairways. The course will cater to all ability of golfers and both amateurs and professionals will enjoy this course and the challenges it offers. The staff extend a warm and friendly welcome to all visitors and you will find them to be friendly and professional throughout the club. The Clubhouse has first class facilities and a nice friendly atmosphere, they serve a nice choice of hot and cold meals, the food is excellent and good value for money. Wilmslow Golf Club offers a premier round of golf with very reasonable green fees, if in the area you should try out this course you will not be disappointed. Don't underestimate this 9-hole course — not only is it very well worth playing, but it is also home to some of the most truly enjoyable challenges you will find anywhere. Hazel Grove Golf Club is located at High Lane in Stockport, amongst beautiful surroundings and has a reputation as being one of the best courses in Cheshire. It is an 18 hole private parkland golf course, that is well designed, pretty flat and with some fabulous views. The course is beautifully maintained and the greens are in superb condition, lovely and flat and kept to a high standard. The Fairways are tight and are fast running. The course offers challenges to all level of golf player, there are a number of obstacles to make play difficult including, several natural water hazards, trees and long rough. The clubhouse has a welcoming atmosphere, excellent facilities, and lovely views out over the course, catering options are excellent, the menu is very good, lots of choice and the food is tasty, generous portions and good value for money. It is a friendly and welcoming course and all visitors are warmly greeted. Staff are amicable, helpful and above all most professional. Hazel Grove Golf Club offers a great game of golf throughout the year, the course is always in good shape, it is a very welcoming club and the green fees are very reasonable, should be tried out if you are in the area. Carrington Riding Centre is a professional and highly accredited riding school that can be found in the Mersey valley green belt, amongst 450 acres of stunning countryside. The staff here are fantastic, they are so friendly, highly skilled and patient to deal with the more nervous visitors. 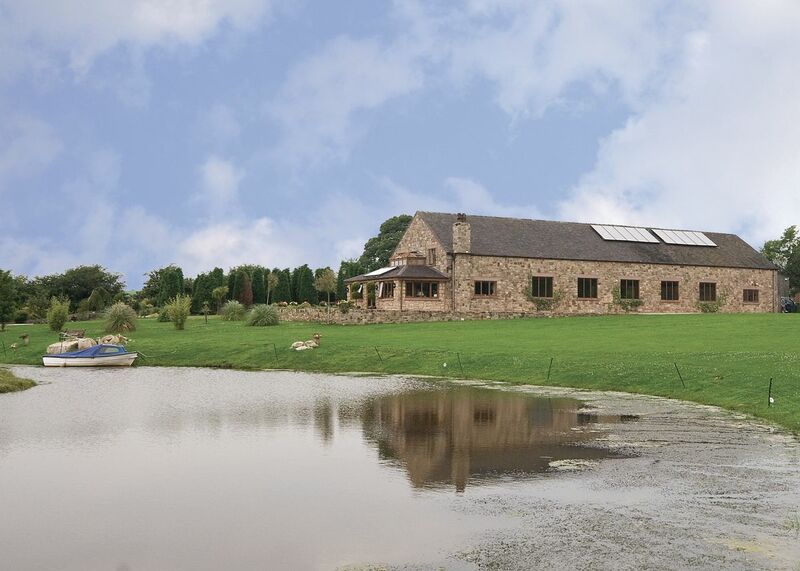 The facilities at Carrington Riding centre include an indoor school, three all weather rubber surfaced outdoor floodlit menages complete with comfortable viewing facilities and a cafe. In addition they are the sole riding school to have a Racewood Dressage simulator, you get the full effect of riding a horse, go through a programme of walks, trots and canters and at the end get a computerised assessment of how you did, a brilliant way of seeing if you will be able to handle a horse especially if you are nervous or reluctant to ride. The horses and ponies have been carefully chosen for their temperaments and are entirely trained to ensure both your safety and enjoyment whilst here. Carrington Riding school offer a range of activities with riding lessons, birthday parties, hacks, lessons in jumping and much more. Throughout the year they run a schedule of events and activities so it is worth checking their website. If you are after a riding school with a professional and friendly approach then make your way to Carrington Riding Centre, you will be delighted with the amenities they have available. A fun-packed action day out, with obstacle courses in the trees, rope bridges, wooden tunnels and some of the country?s best zip lines. Explore the forest canopy as you swing through the trees in this exciting adventure. An adrenalin fuelled, treetop trek with stunning views of Lake Linmere. Set in the beautiful forest of Cannock Chase, this gem of a trekking centre is a great place for a ride. Whether you are a keen beginner or an experienced rider there is something for all abilities. Soak up the stunning scenery and keep an eye out for some of the local wildlife. Delta Force is one of the most exciting and invigorating activities available in Staffordshire. Face off and show your might on the field of battle while navigating natural and manmade obstacles and land features. A variety of tools and equipment is available, including pyrotechnics like smoke grenades, paint grenades and MK5 Thunderflashes. Nature lovers, photographers and others will not want to miss the chance to explore Cannock Chase. This pristine region is rich in wildlife and plant life. It is the last surviving lowland heathland in the Midlands. A management plan has been put into place to meet the demands of the area's natural and economic needs so it remains beautiful for future visitors. 158 acres cared for by the National Trust with lots of grassland - ideal for some peace and quiet in beautiful surroundings. Ilam Hall, built between 1821 and 1827 also sits in the grounds but is not open to the public. The Gentleshaw Wildlife Centre is the perfect place for animal lovers. Get closer to nature in a safe, comfortable environment. This family-friendly attraction is home to an array of living things, including birds of prey, cats, raccoons, reptiles, invertebrates and primates. An kids activity pack is available for a small fee so little ones can get even more out of their visit. Victoria Park is the perfect place to spend a sunny afternoon. The landmark opened in 1908 as the Victoria Park Pleasure Grounds. It currently spans just under 5 acres of lush property and is the largest formal park in the borough. There are a number of unique features within the park, including the County War Memorial, Alderman Mottram shelter and the Splash Pad. Fletcher Moss and Park Botanical Gardens is housed in 21 acres of stunning grounds, the park was gifted by Alderman Fletcher Moss to the city in 1914. Today these beautiful gardens are well maintained and cared for by a group of volunteers and offer a place of peace and solitude away from the everyday hustle and bustle of life and has a nice friendly atmosphere. There are many pathways that lead you through the park where you enjoy the heather and rock gardens, small pond, the formal rose garden, sensory herb bed, ornamental trees and woods. There are even pathways that lead you along the river Mersey. The alternating seasons bring different things to see and lots of aromatic smells. There are a number of events that take place in the park such as plays, concerts and family fun activities. There are tennis greens and a bowling green where you can play. There is lots of room for younger visitors to run around and they love exploring the woods. You will find lots of benches where you can sit and relax and appreciate the beautiful surroundings. There is a nice cafe that serves a good selection of beverages and light snacks that are reasonably priced. Fletcher Moss and Park Botanical Gardens offers a nice environment to escape from the stresses of life, pretty gardens and walks for your enjoyment. Whether you are a seasoned gardener or someone just discovering their green thumb, the Plant Pot has something you will love! This traditional nursery offers a wide range of healthy plants, including vibrant flowers, juicy vegetables, herbs and so much more. Shoppers can also pick up gardening accessories, seeds, compost and gifts then stop by the on-site coffee shop for a quick bite to eat. Treacle Market is a fantastic local market that operates on the last Sunday of every month from 10.00am to 3.00pm, and is home to more than 140 stalls. It is located located in Macclesfield Market Place, Butter Market and surrounding streets and has been named one of the best Farmers Markets around. You will find here a fantastic and diverse choice of superb locally produced beers, juices and delicious provisions. In addition you will be able to find lots of high quality unique, interesting and unusual items including artworks, antiques, books, vintage home wares, jewellery and crafts from local makers. It is a lovely lively and bustling market with a real community feel and offers the perfect place to meet with friends, browse around and stop for a coffee and listen to the live music. There are many food vendors selling a diverse range of dishes from all over the world, the smells are fantastic and the food is home cooked and delicious, it a foodie heaven. Treacle Market is a lovely market, lots to explore and experience and a great atmosphere, if you are in the area, get a shopping basket head there and immerse yourself in the atmosphere, you won't be disappointed. Lyceum Theatre is a a premier theatre experience in Cheshire. This Edwardian Theatre is more than one hundred years old and still retains its unique charm, it is a well established and cherished theatre for the local and surrounding areas. The interior is sumptuous and elegant and affords an evening of great entertainment. The seating is comfortable and well laid out so you get a good view of the stage regardless of where you sit and the acoustics are very good. You can take a "behind he scenes tour" where you will travel back in time and discover the intriguing history of this fabulous theatre. They host a diverse and interesting programme of events that covers musicals, dramas, bands, comedy, family shows and much more, there will be something to suit all tastes, and prices are reasonable. Staff throughout the theatre are very friendly, courteous and helpful. The bar area is welcoming and has a good selection of drinks and snacks that are reasonably priced. The Lyceum Theatre is a beautiful and charming theatre that hosts some fantastic shows, don't miss an opportunity to see a show here, it makes for a great night out. Segway Events caters to the latest and popular craze of riding one of these unusual but fun self-balancing vehicles. Although they look a little tricky to master they are relatively easy to get the hang of and it won't be long until you are whizzing around so pleased with yourself. After a little instruction by a friendly and qualified staff member you are off on your adventure. Training takes place on fairly flat grass and they have you manoeuvring through cones and zipping up and down. You then proceed into the woods where is is a little bumpier but great fun, there is a pathway to follow and at the end you are given some free time to have fun on your segway. They provide the relevant safety equipment so you don't need to take anything along with you. If you are looking for a fun and alternative activity then a segway experience could just be what you are looking for. Plantation Garden Centre is a family run business located in Northwich, that offers the utmost value as well as quality plants together with a huge choice of garden products. They are available to offer ideas, advice and inspiration when it comes to planning your garden. Staff are both helpful and friendly and have a vast knowledge of the products on offer and in relation to gardening. Onsite is the Colonial Cafe, it is bright, spacious, modern and comfortable with a lovely cosy atmosphere, they serve a nice selection of hot and cold beverages, freshly made light snacks, breakfasts, lunches and delicious cakes. The prices are very good and customer service is excellent. There is also a nice gift shop with a lovely selection of high quality and unique gifts for the garden. They are open daily from 9.00am until 5.00pm and closing times vary on the weekend. Plantation Garden Centre offers a delightful selection of plants in a pleasant environment that you could spend a couple of hours strolling around and enjoying the cafe and gift shop, a really nice way to pass a few hours. A cinema with 8 lanes of bowling fun attached — a great idea for a day out with the family or for a rainy afternoon. All the latest films, check website for up to date listings. Gauntlet Birds of Prey is located in Knutsford, Cheshire and is home to more than 120 birds comprising of 45 separate species. It was set up in 1996 and it now has the biggest collection of birds of prey in the North West, it is not a large establishment but, there is still lots to see here. A visit to Gauntlet will give you the opportunity to get close to a large variety of birds including, eagles. hawks, falcons, vultures, kites and owls to name just a few. They operate frequent flying displays, vulture feeding as well as meet and greet presentations where, you can get close to these majestic and impressive birds and learn all about them. There is lots of information about each bird. In addition they run a broad range of experiences where you can get close to these birds and learn to fly everything from a tiny owl on a taster experience to the ultimate experience where you get to meet an enormous eagle. The main purpose of Gauntlet Birds of Prey is the conservation of these stunning birds both in the UK and worldwide. The staff here are committed and dedicated to their work and their love of these amazing birds is clearly evident, they are more than happy to answer any questions you might have. They thoroughly enjoy working with them and this makes the shows even more enjoyable. If you want to see these awesome amazing birds up close then Gauntlet Birds of Prey is the place to go. Wild Things Soft Play Centre is located in Bramhall, Stockport and is easily accessible with a large private car park. It provides a safe and secure environment where young visitors can run around, explore, interact and play whilst being supervised. Cafe Orinoco is welcoming and comfortable and allows you to six and relax with a coffee whilst the children play. They have a good selection of beverages, snacks and hot and cold dishes that are freshly made and home cooked and reasonably priced. In addition they have free Wi-Fi. Prices are very reasonable and offer real value for money. Staff are very nice, friendly, helpful and approachable. The whole centre is well maintained and very clean. They are open daily, Monday to Fridays 9.00am to 17.30pm, and Saturday and Sundays 9.00am to 4.30pm. Wild Things Soft Play Centre is probably more suited to younger children who will enjoy the excellent play frame and the space to run around in. .
Torrs Hydro is an exciting new endeavour that strives to regenerate the local community while preserving environmental resources. This vital landmark provides electricity to the local community using earth-friendly methods. The facility has produced more than 700,000 kWh since September of 2008. Open days are held four times throughout the year. High Lea Park is a beautiful recreational space in New Mills. This area offers gorgeous scenery with lush woodlands and vibrant gardens. The newest additional includes an orchard. Families can let their little ones romp on the playground. The park also hosts a number of exciting events throughout the year, including a fireworks display, bonfire and the One World Festival. Whether you love books, records, CDs or comics, High Street Books in New Mills is the perfect place to start shopping. This unique retail experience offers the diverse selection that only an independent second hand book store can supply. After more than three decades in business, High Street Books has something for every reading or listening preference. Cheshire Falconry gives you the opportunity to fly birds of prey in the centre of Cheshire. You can get close to these magnificent and powerful birds through the choice of different flying experiences they offer. The staff are very friendly, professional, passionate and knowledgeable and safety is paramount here for all concerned, before commencing you are given a full safety briefing. Then it is time for the fun to start, put on your gauntlet and prepare to fly these amazing birds. You can choose from a taster session through to a full day of falconry. You can also come to the centre to just see these beautiful birds, in this picturesque setting. During the summer months they operate bird flying displays where you get to see the grace and agility of these birds. The birds are well looked after. The staff have considerable knowledgeable on the birds and will happily answer any questions you have. Also onsite here is the Blakemere craft centre that also houses a lovely restaurant as well as a number of other shops. Cheshire Falconry offers a unique and unrivalled experience where you get to meet some amazing birds and see what they are capable of, excellent value for money, totally engaging and entertaining and a truly memorable experience. With the support of local organisations and councils, the Millenium Walkway at New Mills is accessible and ready to serve visitors! This unique projectcompletes the connection of a path that runs below the town. The walkway was recognised with the British Construction Industry award in 2000 and continues to impress all who travel it. The Ancient High House is a beautiful building and one of the best Tudor structures in the entire country. It is also the largest timber framed town house in all of England. King Charles I stayed there on his way to Shrewsbury, often entertaining royal guests. Travellers can admire breathtaking architecture while exploring a historic landmark. The Plaza is a cinema and variety theatre in Stockport, and is located in a beautiful art deco building. It has undergone a renovation project and has been restored to its former glory with many original features and decor and has a unique charm and appeal. It has all modern amenities, the sound and lighting is excellent and seating is very comfortable with plenty of legroom, and you get great views of the stage. The gorgeous Plaza Cafe Restaurant has a stunning art deco decor, and offers a lovely dining experience, they serve a great selection of meals and drinks that are well priced. It has a lovely friendly and welcoming atmosphere, the staff and volunteers are amicable and very helpful and enhance the overall experience here. You can do a tour of this wonderful theatre where you will see all the beautiful features, get a history of the building and learn about what they do here, they are informative and interesting and must be booked in advance, details are on the website. They host a diverse programme of local and national productions with big named acts and cover all genres including dance, comedy, drama, concerts and much more as well as cinema screenings, there is something to appeal to everyone. The Plaza is a unique venue that offers a true theatre experience in wonderful surroundings, it has a lovely atmosphere, the productions are excellent and the ticket prices are very reasonable, a visit here makes for a memorable and entertaining night out, highly recommended. Staircase House is a beautifully restored 15th century townhouse that is positioned in Stockport's historic Market Place. This grade II listed building has many incredible features most notably its unique and rare Jacobean cage-newel staircase, being one of only three of these staircases remaining in the country. During a visit you get a real insight into how people lived from the 15th to the 20th century. The house was destroyed in a huge fire but it has been lovingly and sympathetically brought back to life. The interior is stunning and is home to many fine paintings, antique furniture and furnishings and artefacts. There is a total of sixteen rooms, each room is laid out as it would have been and are authentic. You are encouraged to touch things to get a real feel of the house. Children can dress up in the period costumes that are available. Tours are done by an audio guide that takes you through the history of the house, the people who lived here and lots more. Staff are friendly, knowledgeable and have a passion for the house that shows. The house is open Tuesday to Sunday and on Bank Holiday Mondays, there is a reasonable entrance fee. Blackshaws Cafe forms part of Staircase House, it is comfortable and welcoming and serves a nice selection of beverages, light lunches and snacks. Staircase House is a beautiful interactive attraction that gives a real insight into a genuine house from a bygone era, totally mesmerising whilst being educational, highly recommended if you are in the area, it will appeal to all ages. Etherow County Park is located in the centre of the Etherow/Goyt Valley in the stunning Southport countryside and covers 240 acres, and is a local nature reserve. It was one of the first country parks in Britain and is a vibrant area of woodland and riverside with lots of walks in addition to being a haven for wildlife with more than 200 species of plants here and in excess of a hundred species of bird have been sighted here. The park is well maintained and very clean, the wardens do a great job. There is lots to see and do with self guided walks and trails, picnic areas, lake, impressive waterfall, pond dipping area, Sssi nature reserve and bird-hide, model boat area and model boat club, and much more. Children will love exploring, running around the wide open spaces and building dens in the woodland. The area is pretty flat so suitable for everyone and there are lots of benches scattered around the lake where you can sit and enjoy the lovely scenery. The Visitor Centre sells bags of food for ducks, you can get maps of the area and the numerous walking trails, also you can arrange a guided walk with one of the wardens who will share the history of the park and tell you all about the local wildlife, flora and fauna. The waterfront cafe is cosy and welcoming and serves a nice selection of beverages and snacks at reasonable prices. Etherow Country Park is very popular as it offers a peaceful oasis away from the bustle of the town, it offers pleasant walks and lots of scenery and has something for everyone as well as being a cheap day out, a lovely park. Altrincham Garrick Playhouse provides a world of entertainment to its patrons. The theatre celebrates its centenary in 2014 it has and continues to be a strong cultural presence in the town. It is an amateur company but the productions they stage are first class and very professional. It is an intimate theatre with a friendly and welcoming vibe, the seats are very comfortable and the acoustics are very good. There is a bar that provides an ideal place to meet for drinks before a show, although it does get busy but, the drinks are reasonable. The staff are fantastic, so friendly and helpful. Tickets for the performances here are well priced and offer great value for money, the theatre is easily accessible by public transport. Altrincham Garrick is a local theatrical gem and a credit to the town. Stonyford Cottage Gardens and Nursery are a specialist plant nursery together with a Garden Tea Room, located on the edge of the Delamere Forest. They are award winning gardens and have been recognised as being one Britains Gardens of distinction, these stunning informal gardens are home to a diverse and interesting selection of plants, shrubs, trees and flowers, have raised paths across the waters. What started as swampy garden has been transformed into these totally unrecognisable and stunning gardens. These charming gardens are beautifully maintained and all plants have name plates so you can easily identify them, they are also home to a collection of bronze and stone statues and hidden fairies and pixies, that children love finding. The nursery is well stocked and proudly boasts the fact that they provide a number of rare and desired plants, as well as the usual. Throughout the year they organise a number of unique events, full details are on the website. These delightful gardens are open from March. They operate group lunch and garden tours where you are brought around these beautiful gardens and given lots of information on the plants. The tea room serves a good selection of hot and cold beverages as well as delicious fresh home made breakfasts, lunches, afternoon teas and delicious cakes and treats, the customer service is excellent and the prices are excellent value. There is a charge to do the garden tour but it is very reasonable and represents excellent value. Stonyford Cottage Gardens and Nursery is a real gem, many of the plants found here are for sale in the nursery, it offers real inspiration and lots of ideas for your own gardens and the tea room offers the perfect environment to relax and enjoy the tranquillity and beauty of these fabulous gardens. Vale Royal Falconry Centre serves to inform people about these majestic birds of prey and their habitat, the centre is located within a picturesque setting of the Cheshire countryside in Acton Bridge. The activity centre is operated by skilled, professional and passionate falconers. A visit affords you the opportunity to learn about these magnificent birds, their habitats and see their skills and agility in action, as well as seeing the ancient art of falconry. Birds that you will encounter here include, hawk, eagle, falcon, vulture, buzzards, kite, harrier and owls, they are all so well cared for and look so healthy. They operate a number of experiences where you can get up close to the birds of prey and you can appreciate their beauty and majesty, they offer both individual and group sessions and range from an hour to several days in duration. They also offer the opportunity to meet Meerkat's an altogether different experience, you get to cuddle, feed and play with these friendly and curious creatures. 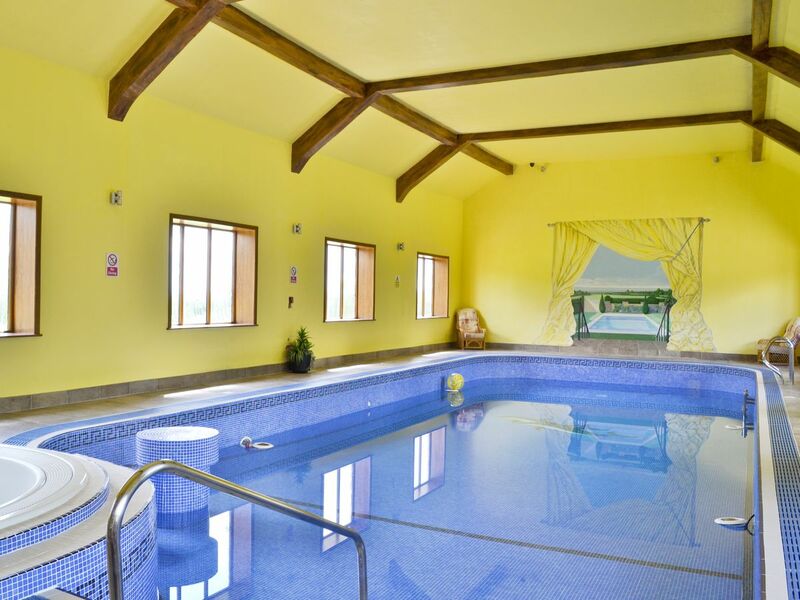 Visits to the activity centre are by appointment only, and are operated most days, contact details are on their website. They do organise a number of special event days for visitors and again details are on the website. Vale Royal Falconry Centre are very professional and well organised and ensure that everyone has a first class experience and enjoys their time here, a fantastic way to meet these fabulous birds in a natural environment, and at at a really reasonable price, highly recommended. Art with a Heart, Arts Centre is an arts and heritage project in the community, with the purpose of raising awareness and promoting the arts to everyone. The gallery is bright and airy and has a lovely warm and friendly atmosphere. It is also home to an impressive local exhibition consisting of maps, dating back to 1876, interesting artefacts and photos illustrating the changes to the town over the years. It is a great starting point for young and emerging artists as they offer them the opportunity to display their works. The staff are brilliant, they are friendly, knowledgeable and animated about the exhibits on display here. The standard of works on display here is very good and diverse, there will be something to appeal to everyone from the varied collection of works on show. They also run a range of activities that are great for entertaining both young and older visitors. If in Altrincham take some time out to visit this lovely centre you will not be disappointed and might even find something special to take home. Irish World Heritage Centre is a housed in an attractive building with lots of windows that give stunning views out over Manchester City Centre. Outside there is a spacious decking area that includes a walled garden where you can take a pleasant walk and enjoy the views. It acts as a premier facility that provides flexible spaces that can be booked for conferences, meetings, weddings and events. There is a lovely restaurant that serves delicious home cooked food with an Irish influence and it has a real homely and welcoming atmosphere. The main feature at the centre of the building is a 5,000 year old piece of sculpted Irish bog wood. They do an excellent carvery on a Sunday that is accompanied by live entertainment in the evening and this does be excellent with a varied and interesting mix of artists. In the bar area there is usually a choice of sports been shown on the televisions and the bar has a selection of Irish ales on tap and a broad choice of Whiskey's. Afterwards you can visit the Irish food store to take home some of the delicious goods that are available here. Irish World Heritage Centre serves excellent food in a warm and inviting ambience and at reasonable prices, if in the area you should come along and try out this wonderful venue for yourself. Hope Valley is a wide valley running east?west and attracts cyclists, pony trekkers and rock climbers from all over the country. Mam Tor 'Shivering Mountain' lies at the head of the valley, which is also home to Peveril Castle and Ladybower Reservoir. The Comedy Store is the place to go if looking for a night filled with fun, laughs, food, drink within a vibrant and bustling atmosphere. The club here in Manchester is a specifically built 500 seat comedy venue and it is where you will discover the best stand-up comedy around. There is live comedy Thursday, Friday, Saturday and Sunday nights and the range of performers is amazing and continually changes. They have their own restaurant offering a wide range of dishes to cater to all tastes and diets, the food is very good and reasonably priced and the service is very good too. There is also a bar menu if you prefer to sit at the spacious bar area, or pizza can be ordered for after the show, there are lots of dining options to choose from. The Comedy Store should have a health hazard as you laugh so much your sides ache and the tears roll down your face, a unique, fun and thoroughly enjoyable night out, to be shared with friends or family. Don't hesitate get yourself along to the Comedy Store you will be delighted and captivated with the experience. Manchester Central Library is housed in a beautiful historic building that has undergone a renovation project that has seen this building been lovingly and sympathetically brought back to its former splendour complete with historic features but with modern touches. The interior of this building is stunning with its decorative ceilings and intricate stonework and stained glass windows. There is a lovely peaceful and and inviting atmosphere here. The library offers visitors free wifi and use of the computers. There is a huge array of books, ebooks, DVD's and audio books available to borrow. The book collection includes everything from the classics to new writers, reference books and the newest academic materials. The Media Lounge provides the most up to date digital media centre inclusive of creative software and gaming stations. Featured at the British Film Institute Mediatheque is the world's best and most varied compilation of British film and television. The Children's Library is a great area for younger visitors to enjoy books and hear stories, as well as enjoying the soft play area. The Henry Watson Music Library offers you the perfect creative place to compose, play and record your own music or discover authentic music treasures. There is so much to see and do at this wonderful library, from the various displays relating to Manchesters history and its famous residents. There is something to interest everyone here and it is definitely worth taking the time to visit. Manchester Central Library will amaze you with its stunning interior, it is a practical and attractive place to visit and should be on your list of places to visit. The Lowry is an art and entertainment venue that is located in a stunning waterside position in Salford Quays. The building is an unusual and striking conception, a real architectural forerunner in design and structure. The purpose of the venue is to bring to the local and extended community a diverse and interesting range of performing and visual arts in one place using the best in local and national talent. Within The Lowry are two main theatres, an art gallery and a studio space for performing arts, in addition to the events they host they also run courses and workshops. The fabulous performances you can see here include, drama, opera, ballet, dance, musicals, jazz, folk, live bands, comedy and much more. The gallery space houses a collection of works by LS Lowry as well as contemporary exhibitions by other local, national and international artists. The building is bright and inviting with its modern and colourful interior and has an amicable atmosphere. The seating is excellent and all seats afford a good view of the stage, the acoustics are fantastic and the performances are first rate. The restaurant, cafe and bars are all situated so that you can enjoy the beautiful waterside views. You can take a guided tour of the building or roam around at your own leisure, there is lots to see and experience. The Lowry makes for an interesting and engaging day out that will appeal to all ages and interests owing to the variety and range of activities they have available. If you don't make a performance here come and see the building that in itself is worth a visit. Wobbleyou offers you the opportunity to shake off that extra flab and those extra inches without any strenuous effort, the most taxing thing you will have to do is take off your shoes and step onto the machine. You will do the equivalent of a one hour workout in a mere ten minutes. The best thing is that the machine does all the work for you. The results will be a loss of weight and inches in addition to you getting toned and the best thing is that you do not have to break a sweat. You will find the staff to be very friendly and helpful. The great thing about Wobbleyou is that anybody can use these machines and achieve the results. Take ten minutes out of your busy schedule to see how Wobbleyou can benefit you. Royal Exchange Theatre is a premier theatre located in the heart of Manchester, it is unique in design being a seven-sided, glass walled capsule that is effectively hanging from enormous marble pillars in The Great Hall of the historic Victorian Cotton Exchange Buildings. Owing to its unusual shape all seats are less than nine metres from the circular stage resulting in all seats having unobstructed views of the stage. The seating is so comfortable and the acoustics are excellent and the atmosphere is convivial and the productions are first class. They host a varied and interesting programme of events from the classics through to new writers; in its time it has produced more than 125 premieres, there will be something to appeal to all tastes on their programme of events. Facilities here include the Round Restaurant, it has a varied and interesting menu and the food is very good and reasonably priced. Bar Exchange has a lively and bustling atmosphere and is a great place to meet for pre show drinks. In addition there is the Craft Shop and exhibitions, the Education Lounge and workshops, the Mezzanine Gallery exhibitions and an information point. You will find the staff here to be really nice, they are helpful and amenable. The theatre even opens on a Sunday and has free entertainment throughout the day. If you have not been to the Royal Theatre Exchange then look to book a show, you will be delighted with your visit from the unusual setting to the ambience, production and food, it is a fantastic night out. The Centre for Chinese Contemporary Art is the premier venue in the UK for delving into surveying the most thrilling contemporary work that is emerging from China and East Asia, it is a constantly altering and vibrant scene. It is considered that contemporary art in China and East Asia is an emerging and popular market and appeals to a worldwide audience. The Centre For Chinese Contemporary Art is a link to bringing these works to the western world and this particular venue here in Manchester allows emerging and established artists to showcase a selection of their works, this is achieved through a diverse programme of exhibits residences, engagement projects, festivals, international projects and events. The centre is an intimate venue that is ideally located in the northern quarter of the city, there is no charge to enter and see these exhibits. They are continuously changing what is on show so it is worth making regular visits to see these interesting and impressive works. You will find the staff to be friendly and knowledgeable and they are more than happy to discuss the works on show and artists involved. National Football Museum contains the largest football collection in the world with an impressive 140,000 items, placed over three levels. With the origins of football in England, and dating back more than 150 years, it has an important role in the country's culture and heritage and it is not surprising that it is the nations favourite sport and affectionately known as the beautiful game. During your visit you will get to delve into a number of exhibits that take you through the history of football from past to present, and explain why it has become such a popular sport worldwide as well as hearing stories pertaining to the game, that are brought to life through interactive and hands on displays. You will get the opportunity to demonstrate your own skills at the game in the penalty box. There is a Discovery Zone for younger visitors. There are a number of other experiences referred to as Football Plus + but, these carry a charge. The exhibits are well laid out and have lots of information available, or the staff are are there to answer any questions you might have. You do not have to be a football fanatic to enjoy the National Football Museum, there will be something to appeal to everyone. It is free to enter the museum and it is open everyday and you will find the staff to be friendly and helpful. There is a nice cafe that serves a good selection of beverages and light snacks and it is inexpensive, in addition there is a gift shop that has loads of items relevant to football, with books, posters, jerseys and much more available. National Football Museum is an interesting and fun place to visit and makes for a great day out for all ages. Chetham's Library has a long history that dates back to 1653 and holds the title of being the oldest public library in the English-speaking world. It is a delightful 15th century hall that was constructed from Collyhurst Sandstone and has magnificent architecture. It is operated by an independent charity and is open to visitors and readers at no charge although they do propose a donation of £3 to help with running costs. Another distinction they hold proud is that the complete collection at Chetham's Library has been specified as being one of national and international importance. Stepping through the doors is like stepping into a different era and it has a wonderful ambience and a distinctive aroma from the old books. It has a diverse collection of books consisting of early printed books, an abundance of Ephemera, manuscripts, diaries, letters, deeds, prints, paintings and glass lantern slides, as well as lovely furniture and artifacts. Chetham's Library is open to visitors Monday through to Friday from 9.00am until 4.00pm. Throughout the year the library holds a number of events and courses so it is worth checking their website for further details. If you are visiting or living in Manchester take the time to visit this awesome and fascinating library. Skydive GB are Yorkshires only drop zone and they are located just north of the coastal resort of Bridlington. 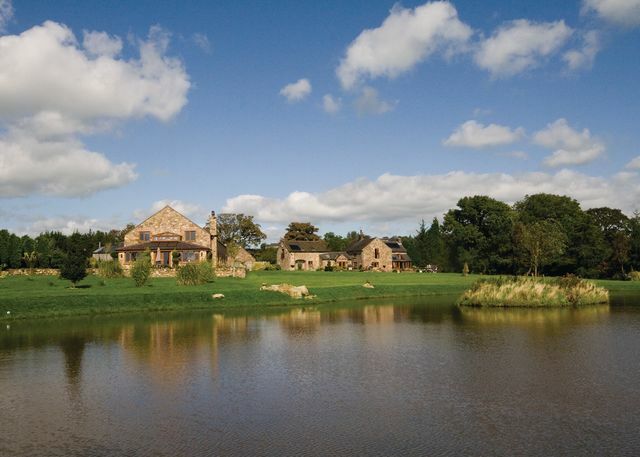 Owing to their location you get unparalleled views of the Yorkshire coast and surrounding countryside. They cater to everyone interested in the thrilling sport of skydiving, so wether it is a jump for charity, a one off experience or you are considering taking this high adrenaline sport up as a hobby then look no further. Their most popular jumps are a tandem skydive where minimal training is required before you jump accompanied from about 10,000ft or if you prefer the option of a solo jump then you can take the more detailed training course before you go solo, a parachute will open automatically at 3,500ft. They are very professional, highly trained and all instructors are qualified. Additionally the staff are very friendly, patient and encouraging. Obviously all jumps are dependent on the weather. If you are just a spectator there is a nice warm and cosy cafe where you can wait with a nice coffee. Skydive GB are friendly and welcoming and give a fantastic, memorable experience, something that everyone has to try once. The all new Golden Square Shopping Centre — look no further for the latest hotspot in high street chic! United Synagogue is the local Orthodox Shul in Prestwich Manchester and has a long standing in the community dating back to 1904. It is a friendly and welcoming Shul and always happy to greet new members. They run a number of community events throughout the year so it is worth checking the website to see what is on. The Silk Museum is found in an old Art School. Visitors will get the opportunity to step back in time in this age old production, you will travel along the Silk Road and unearth the history of Macclesfield's Silk Industry from its modest beginnings through to the growth and prosperity of the Silk Mills. This skill will be brought to life and the brilliance of the people who steered the growth of Macclesfield is delved into. There are lots of hands on exhibits, displays and wonderful collections. You will learn how this luxurious fabric is made, from its humble beginnings as a cocoon to a wonderful fabric that frequently graces catwalks and is a revered fabric worldwide. The museum is divided into four sections and it is at the Paradise Mill that you get to see first hand the an early 20th century silk mill and hear all about the industry as well as seeing a weaving demonstration. The guides are really fantastic, friendly, knowledgeable and are engaging in telling the history of silk and the mills. The Silk Museum is a fascinating and interesting museum that tells the story of silk in a concise and informative way, you will learn so much during your time here. The Museum is open daily and there is a charge for entry but it is not expensive for the quality you receive. Englesea Brook Chapel and Museum is a Methodist Heritage site whose purpose is to preserve and educate people on Methodism, they are situated in a beautiful setting. The movement dates back to the start of the 19th century and they were prominent in encouraging education and starting the trade union movement, their beliefs quickly spread throughout the country as well as overseas. On display in this intimate museum are a diverse collection of artefacts , they also have a vast library, permanent and temporary exhibits. There is much to see here from exploring the graveyard, see the working children's monument and Hugh Bourne's grave. The chapel offers peace and tranquillity and a place of reflection and also is home to a number of silk banners relating to the movement. They operate a programme of special events during the year that incorporates talks, study days as well as family activities, details can be obtained from the website. You can get tea or coffee here and are welcome to take along a picnic, otherwise it will be necessary to go to a local establishment for food. The Museum Shop is small but has a good selection of goods including books, toys and games. There is no admission charge for entry but they do rely on donations, and are open from April through to October, outside of these months you can visit but by appointment only. Staff are very friendly, helpful and attentive. Englesea Brook Chapel and Museum is a delightful and fascinating place, it offers a real glimpse into the harsh lives of Victorian working people and the impact the Methodist movement had on the quality of their lives, lots of historical interest that is pitched at just the right level, a real gem of a museum definitely worth a visit. Peover Hall and Gardens is a magnificent Elizabethan house that was constructed in 1585 by Sir Randle Mainwaring and continued to be the family home for a number of years. The house has an interesting and varied history and has seen many changes over the years serving as a headquarters for General Patton and the US Third Army back in 1944 as well as being a prisoner-of-war camp. Unfortunately, the house suffered some damage and deterioration over the years but, has been lovingly and carefully restored together, with acquiring period furniture to grace these splendid rooms. The house has some stunning architectural features as well as having the most splendid oak panelling, the Great Hall and a long gallery. Entry to the house is only by guided tour, running at 14.30 and 15.30, the guides are friendly and informative in telling the history of the house. The gardens are glorious and have a classic feel and are home to a 500 year-old oak tree as well as an avenue of pleached lime trees, beautiful topiary work and formal, herb and walled gardens. The gardens are stunning when in full bloom and the scents that waft around are delicious. You will find some unique Grade I listed stables here, they are fantastic and unlike any other stables, constructed in 1654 they have carved Tuscan columns and arches as as well as exquisite strap work plaster ceilings. Also on the grounds is a quaint chapel, located adjacent to the house, it houses a number of monuments pertaining to the Mainwaring family. There is a lovely tea room where you can get some light refreshments that are reasonably priced. Peover Hall and Gardens are open on certain days from May through to September so check the website for opening times. 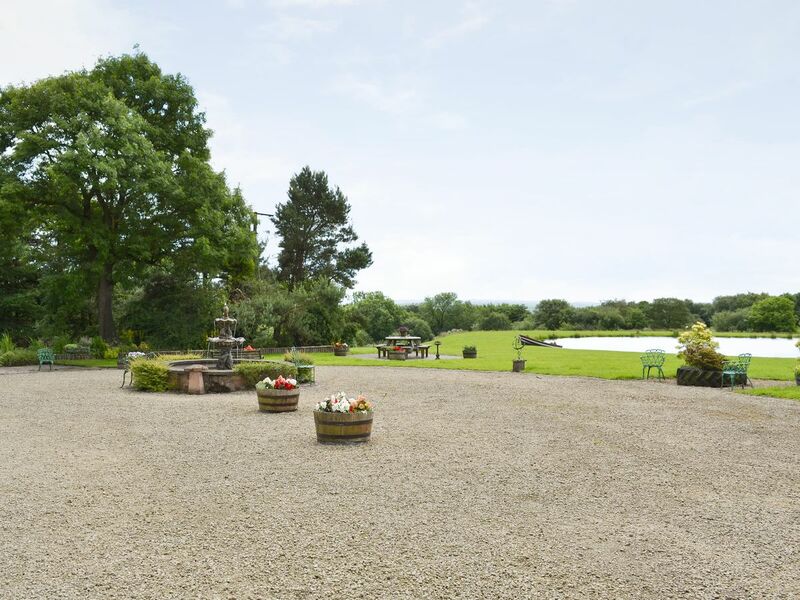 Peover Hall and Gardens offers a lovely day out in fabulous surroundings. Knutsford Heritage Centre is located in a beautiful renovated 17th century timber framed building, this visitor attraction also serves as an exhibition centre and a gift shop. There are two courtyard gardens that are beautifully maintained by a group of volunteers. A special piece here at the centre is the Knutsford Millennium Tapestry that was made between 1997 to 2001 to commemorate Knutsford in the Millennium year, it measures 52 metres, with more than 3,000 people taking part in the stitching. The centre through continuously changing exhibits narrates the story of Knutsford and its residents through the ages. There is a full schedule of events that take place throughout the year so do check the website for details. A regular event that takes place each Friday from May through to October are the "Tales, Trails and Tea Shops Walks", you depart from the shop and will take a guided walk around the town and uncover some of its more unusual attractions. Knutsford Heritage Centre is open throughout the year and there is no entry fee, again check their website for the opening hours. The centre is run by people with lots of knowledge about the town and they will be happy to answer your questions, you will find them to be friendly and helpful. The Knutsford Heritage Centre is an unusual and special local project and worth a visit if you are in the area. Amerton Railway is a charming two foot gauge line that winds through the gorgeous countryside of Staffordshire.This important local attraction also includes "Isabel," the W.G. Bagnall Saddle tank that was made 115 years ago. Autumn and winter themed events are hosted each year, including the Monster Train and Santa Specials. The New Mills Heritage and Information Centre welcomes visitors to learn more about the history and heritage of this charming region. Trail guides, maps and walking books are available for the ambitious traveller as well as gifts and souvenirs. Sample light refreshments while learning about the significance and culture of New Mills! Bramall Hall is an impressive black and white timber-framed Tudor manor house together, with Victorian additions and is surrounded by seventy acres of parkland, overlooking two lakes and a river. This beautiful historic house dates its origins back to mediaeval times and is thought to be one of England's best treasures. 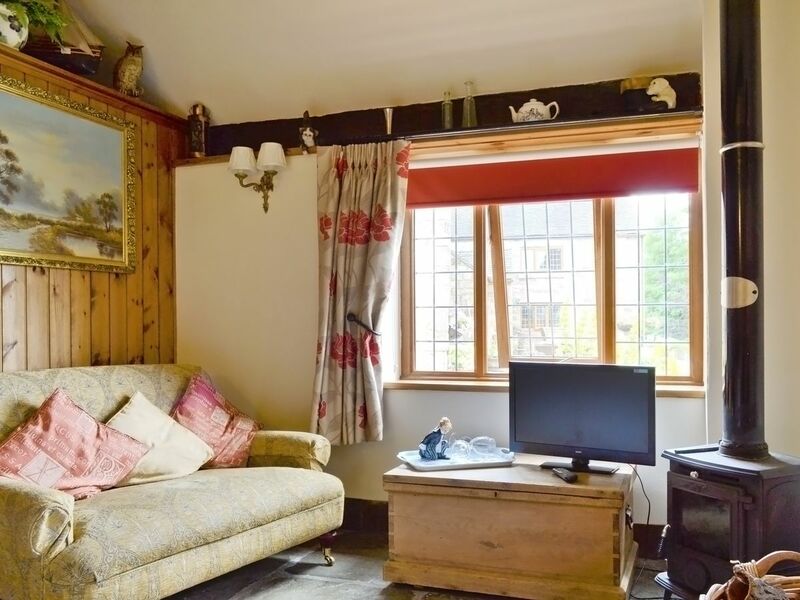 The house has been beautifully maintained and preserved and some of the important features of the house include the gorgeous 16th century wall paintings, Elizabethan fine plaster ceiling, the Victorian kitchen and Servants Quarters, chapel, priest room and quirky leaning room. It has strong influences from the arts and crafts movement in the interior design. The house still retains its unique charm and beauty and has an air of mystery surrounding it. A visit to the hall will give a genuine view of life for the families and servants who lived and worked here, a step back in time to a different era. 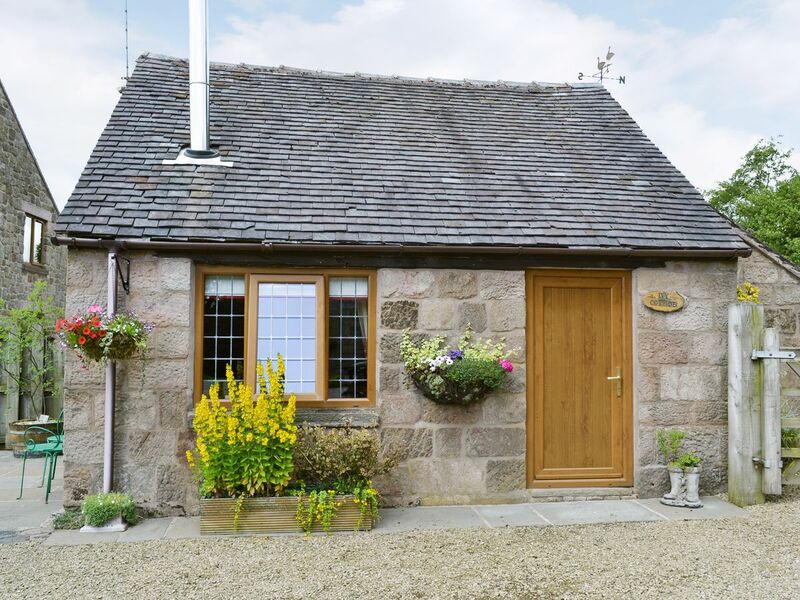 There is an introductory video about the house and guides are on hand who can answer any questions you have, they are both friendly and knowledgeable. Another option is to take a guided tour of the house where you will visit sixteen rooms of the house and learn about its social history and of the families who resided here, as well as hearing about its architectural design. Tours are run on Saturday and Sundays only from 1.15pm to 2.15pm. The Hall is open throughout the year and there is a charge for entry for those aged over sixteen otherwise entry is free, full details are on the website. The tea rooms are located outside by the stables, the staff are friendly and they are cosy, with a good selection of refreshments and snacks that are reasonably priced. There is a small Gift Shop sells a nice choice of gifts and souvenirs. Bramall Hall offers a unique glimpse into a past time, it allows you to experience life as it would have been, as well as being a beautiful black and white house, thoroughly engaging and enjoyable, and an attraction that everyone will enjoy. Tideswell Church is an immediately recognisable and notable church here in the heart of the Peak District National Park. It is warmly referred to as the Cathedral of the Peak although it is in fact a church, it has earned the name owing to its size and astounding architecture, it is a Grade I listed building and one of the foremost famous buildings in Derbyshire, it has a long and diverse history. It has served as a place of worship since 1398 and still continues to this day to hold regular services. It is a warm and inviting congregation and they welcome visitors to their church, to enjoy a service or admire the beauty of the building. It was built in the late Gothic style with the chancel and tower being in a perpendicular style, and has been well maintained and restored over the years. The church has many notable features of interest particularly the stone table tombs, there are also brasses, incredible intricate wooden carvings, leaded stained glass windows and unfinished organ. Outside are lovely kitchen gardens and the bells ring every fifteen minutes and make a lovely sound. The Church building is open daily from 9.00am to 6.00pm so you can call in at anytime to visit, there is no charge to enter but, they do rely on donations to upkeep this beautiful building. There are guides available to buy that gives an in-depth history of the Church. Guided tours of the Church can be arranged where you will receive a full history of the church and information on the local community, contact details are on the website. On special occasions the tower is open, it is difficult to access and climb the stairs but is worth the effort. The Church has a welcoming and inviting atmosphere with a real sense of calm and offers the perfect place for reflection. Tideswell Church is a remarkable historic building with so much to see both inside and outside, it has a really relaxing atmosphere and you feel a sense of peace as you wander around, a real gem and definitely worth a visit if you are in the Dales. Dock Road Edwardian Pumping Station is located in a scenic cul-de-sac on Weir Street, in Northwich. Housed in this beautiful station building are two Crossley "N" Type gas engines that are still connected to their original Hayward Tyler 3-cylinder pumps. In most instances the wardens will have one or both of the engines operating to demonstrate these systems running which, is a wonderful sight and sound. There are a number of display boards that offer additional information regarding the history of the building. The wardens who operate the station are very friendly, knowledgeable and enthusiastic about these magnificent engines, and they impart so much information and you glean so much from a visit. The station is open Sundays and Bank Holidays from Easter through to the end of September, from 2.00pm to 5.00pm, there is no admission charge but, they do rely on donations to continue to keep this facility open and operational. Although group visits can be arranged outside of these times, contact details are on the website. Dock Road Edwardian Pumping Station is a gem from a bygone era, it is both interesting and informative a real delight for anyone who has an interest in history or engineering, or even you you don't, definitely worth a visit if you get the opportunity. St Peter's Church is a Georgian church that was constructed in 1768 and served the spiritual needs of the local and surrounding communities of Stockport, it is one of the oldest churches in the area. Todays church pretty much resembles the original church except for a few small extensions. Inside it is beautiful and many of the original features remain including, the original marble font, Victorian stained glass later additions include the Belgian stained glass windows, there is the old chair frame clock that used to tell the time for locals, marble mural tablets, hatchment, a bell dating to 1768, communion plate and much more. Outside the graveyard has many interesting headstones and is worth a stroll around. It still continues to serve its parishioners as a place of worship and for reflection. There are regular Sunday services that are open to all, you will find the congregation to be friendly and welcoming. Service is generally followed by tea, coffee and biscuits. The church is open Tuesdays to Fridays from 11.00am to 2.00pm for those who want to prayer or seek solace in the tranquillity here. You will also find the coffee shop open if you want a drink or snack, they are very reasonably priced, iand you can savour the quiet surroundings, on occasions the church organist does be playing, which is lovely. There are frequent organ recitals these usually take place on the second Saturday of each month, if you get the chance go along, they are engaging and there is no admission charge. St Peters Church is a real part of Stockports spiritual heritage, a lovely building with a long history and a very welcoming congregation, worth a look around if you are in the area. St. Chad's is Staffordshire's oldest building. The working church offers Anglo-Catholic traditions and many fascinating Norman carvings. Travellers can participate in events and festivals, including the Green Man Festival. The church also provides a "time walk" which is an exciting light and sound show that discusses the history of Stafford and St. Chad's. Anderton Boat Lift is a amazing sight to see, this incredible structure is positioned on the banks of the River Weaver and resembles an enormous three-storey high iron spider. Constructed in 1875 by Edwin Clark, it stands at sixty feet tall, is eighty five feet in length and forty nine feet wide, a true engineering feat. Its purpose was to raise cargo boats the fifty feet from the River Weaver to the Trent and Mersey Canal. Having undergone major restoration it is fully functional complete with hydraulic action. Also located here is a visitor centre that contains interactive displays, educational facilities, a gift shop and a coffee shop. During the months of April through to October you can enjoy boat trips through the lift and down the River Weaver. You can take the boat trip or a combined ticket for the lift too, you get a history of the lift and its importance for the industry of the area, the guides are friendly, engaging and very knowledgeable and make the tour very interesting whilst being in informative and fun. On certain days they operate the "Top of the World Tour", as well as getting a history of the lift and a behind the scenes tour you get the opportunity to taken to the top of the lift where you can enjoy the most spectacular views, definitely not suited to those with a fear of heights, tours cost £10 per person and must be booked in advance, full details are on the website, steps are involved and suitable footwear is recommended. Anderton Boat Lift is a truly astounding feat of engineering and should not be missed absolutely amazing to see it in action, the tours are well worth experiencing informative and interesting. Chadkirk Chapel Museum is located in the heart of the Chadkirk Country Estate and Local Nature Reserve. This beautiful restored grade II listed 18th century chapel has a long history and is thought to have connections with a 7th century missionary, St Chad. It is now home to a specially commissioned life-sized statue of St Chad found close to the altar and there are colourful carved wooden panels that illustrate scenes from the life of the Saint. Although a simple chapel there are some nice architectural features. The chapel has a a lovely sense of peace and tranquillity and offers a place of reflection. There is an audio visual presentation on the history of the site. The estate offers lovely walks through the lovely woodland and along the Peak Forest Canal. If you follow the wooden rabbit trail you will get a wealth of information about the chapel and the estate. The grounds and chapel are open throughout the year and there is no charge for entry. You can stop in the chapel for refreshments. The chapel is also used during the year for concerts and other community events. Chadkirk Chapel Museum is a beautiful and atmospheric chapel and the surrounding grounds are equally lovely, the perfect place for a relaxed stroll where you can enjoy the peaceful surroundings. Peak Rail invites travellers to take a journey back in time. Go on an adventure aboard a diesel or steam train! The railway is preserved to maintain an authentic experience. Lines currently operate between Matlock and Rowsley South. A buffet car is available so passengers can enjoy alcoholic and non-alcoholic beverages as well as light snacks during the trip. Hat Works Museum of Hatting is the only museum in the United Kingdom committed to the hatting industry, hats and headwear. The museum is located in Wellington Mill a restored Grade II listed Victorian Mill, that was once a prosperous hat factory. It is an award winning visitor attraction that is laid out over two floors, there are many interactive exhibits that take you through the history of Stockport's once successful hatting industry, from its humble beginnings as a cottage industry through to the the mass production of the early 19th century. The museum has been designed around a recreated hat factory consisting of some 20 completely restored working Victorian-style machines and a fabulous collection of more than 400 hats from around the world, as well as a recreated hatter's cottage, hat block workshop, working office and haberdashery shop front. There are live demonstrations of working machinery as well as audio-visual shows. For children there is a Family Fun area where there are lots of activities on offer. The museum is premier centre for creativity and innovation for milliners, crafts people, designer makers and for anyone interested in fashion and design. Hat Works shows a fantastic programme of premium temporary exhibitions showcasing the best in this field of expertise. The museum is open Tuesday to Sunday as well as Bank Holiday Mondays and there is only an admission charge if you do the guided tour, otherwise entry is free. Guided tours run on the hour from 10.30am and take you through the hatting process and its history, tours are really informative and interesting and are pitched at just the right level. The cafe is run by volunteers and serves a nice selection of freshly home cooked refreshments and light lunches and at great prices too. Staff are lovely here, so friendly, helpful and knowledgeable. Hat Works Museum of Hatting is a fabulous interactive museum that is entertaining and fun and gives a real insight into this bygone industry, what the was like for the workers and the processes involved in making a hat, it will appeal to all ages. Stockport Air Raid Shelters were opened in 1939 and were the biggest purpose-built civilian air raid shelters in the United Kingdom and were capable of giving shelter for around 6,500 people. Below part of the town this maze of tunnels gave safety as well as way of life for families from around the Stockpot area during the difficult days of the Blitz. Now they serve as a popular visitor attraction and give a real insight into this dark and difficult time in history, they are complete with sounds and smells giving an eerie but authentic feel. These tunnels are carved into the sandstone cliffs, and stretch for about a mile, they include a kitchen, sleeping quarters, toilets, meeting rooms, sick bay and first aid room. They were deemed to be quite luxurious at the time and were affectionately called the "Chestergate Hotel". The tour starts with an audio video that narrates the basic history of the air raids of World War II and the local area. Then you enter the tunnels following a set route where there are information points dotted along that link up with your audio handset, that you receive at the beginning, in addition to telling the history there are also stories and anecdotes. There are also guided tours that take place at various times, some in the evening, these have to be booked in advance and take in other parts of the tunnels that you don't get to see on the regular self-guided tours. The staff are very friendly and helpful. The shelters are open Tuesday to Sunday, but also open on bank holiday Mondays, there is a charge for adults, children under 16 go free. Stockport Air Raid Shelters is enthralling and fascinating attraction you can't get a more authentic glimpse of this era in history, all ages will love this attraction and it is accessible to everyone. Old Town Dungeon and Court House is located in Stockports conservation area, on the corner of Mealhouse Brow and across from the historic market hall. The dungeons are located below the Court Leet magistrates court in the town, and were constructed in the side of the hill. The building is immersed in history and is home to three dungeons, that are not very large but nevertheless still fascinating. You get a real insight into the 17th century judicial system when punishments included the stocks and flogging for petty crime, not a pleasant time. The holding cell is accessed by a narrow stairway, town drunks where dropped through a trapdoor which, is still there. There is lots of information on show detailing interesting facts and stories, as well as photos of hidden tunnels located under the market area. You can organise a visit through the Stockport Heritage Centre located at St Mary's church, and there is no charge for these tours but, they do accept donations. The guides are really knowledgeable and very friendly and make the visit really interesting. Old Town Dungeon and Court House are an important historic part of Stockport and provide a real insight into a past era that is fascinating and intriguing and free too. Shugborough is a working historic estate that offers many exciting opportunities for visitors. The mansion, farm, servants quarters, tearoom and walled garden are accessible seasonally. The property hosts events during certain times of the year, including the festive Shugborough Christmas Fair. Stroll through gorgeous gardens, admire elegant monuments and see the island arboretum garden. Dunham Massey Hall and Gardens are located in an ideal location between the Manchester and Cheshire, and they are a refuge from the hustle and bustle of everyday life. It is also home to an interesting mill as well as the stunning manor house where Stamford Military Hospital is currently housed, it has an exhibition that has been created to represent a WWI hospital and represent how the injured soldiers were cared for, the types of injures incurred and treatments used, it is more of a living exhibit with actors and smells and is very thought provoking. The vast grounds are home to a herd of fallow deer, other animals you might encounter as you stroll through the grounds are owls and woodpeckers. Dunham Massey's is the location of one of Britains best winter gardens, it continues to provide plenty of aromas and colour during this time of year, wrap up warm and enjoy the walks through the ancient trees taking in the sights and sounds. The Stables Restaurant offers the perfect spot to stop for a hot beverage and a delicious wholesome homemade meal in the warm and welcoming atmosphere. The trails are suitable for all ages and some of the areas of interest here are the natural play area and the gift shop that has a nice selection of unique gifts and homemade produce. The staff who will will encounter throughout are all very friendly, approachable and helpful. Regardless of the time of year that you visit Dunham Massey Hall and Gardens you will be rewarded with beautiful gardens that are in bloom and beautifully maintained. Victoria Baths are a historic and important feature of Manchester's cultural and heritage scene dating back to 1906. 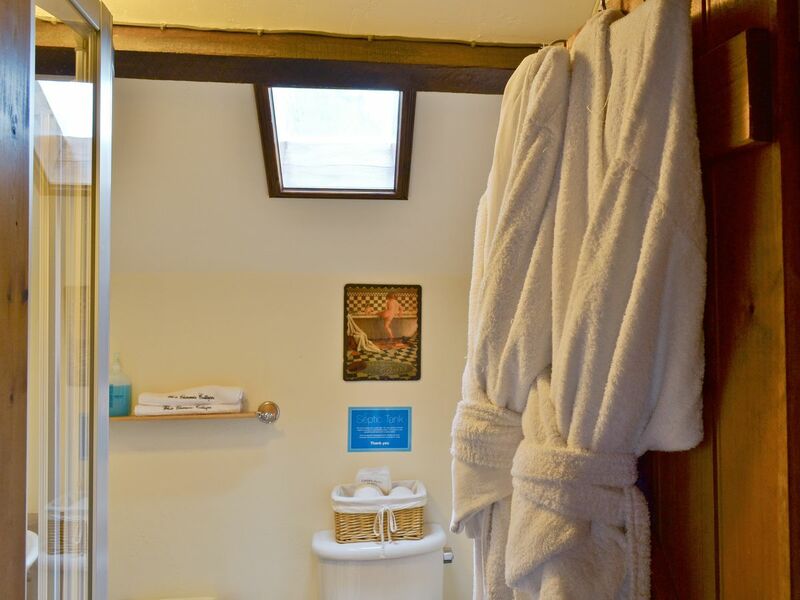 They are housed in a stunning building on Hathersage Road and back in their heyday were classified as "the most splendid municipal bathing institution in the country". If you are looking to visit this stunning venue they hold open days, on the first Sunday of each month from April through to November, in addition they operate guided tours each Wednesday at 2pm. There are lots of interesting architectural features that you will see here as well as the amazing stained glass, mosaics and tile work, together, with the three pools. The baths are currently undergoing a careful and loving restoration to bring them back to their original glory and rely on people doing the tours and donations to obtain the funding to carry out these necessary works. The tour guides are friendly and animated and have lots of knowledge about the history of the baths and anecdotes to tell, it really enhances and brings the tour to life. You get a real insight into the social structure of the Victorian times, with separate entrances for 1st Class Men, 2nd Class Men and Women! The Victoria Baths can be hired out and also hold a number of events during the year such as arts events, art and craft fairs, photography workshops and much more, so if you can't make a tour take time to visit one of these events to see this amazing building. A tour of the Victoria Baths is highly recommended you will not be disappointed. The Manchester Museum is housed in a beautiful old building close to the University. It contains an eclectic treasure throve of artefacts and pertaining to the natural world and numerous cultures that it is home to. There are many exhibits on display and one of the major attractions is a T-rex and fossils of other pre-historic creatures. Other items of interest include a mastodon skeleton, Samurai armour, ancient Egyptian artefacts, including a mummy, weapons section, lots of stuffed animals, live amphibians and reptiles and much more. It is an interactive museum and you are encouraged to handle many of the objects on show and get involved in the hands on activities. The exhibits are well laid out and easy to see as well as being clearly labelled. There is a cafe where you can enjoy a selection of beverages and hot and cold snacks and a small gift shop that sells a nice selection of gifts. There is no charge for entry to the museum although, there is a donation box and it is open daily from 10am to 5pm. You will find the staff to be super, friendly, helpful and knowledgeable they are more than happy to answer your questions. It will not take you too long to get around the museum but nevertheless there is still lots to see. The Manchester Museum is great for all ages with something to interest everyone, it a interesting and informative in a fun way and will delight all visitors. If you are in Manchester take time to see this lovely museum, you will not be disappointed. Manchester Monastery has recently underwent a careful and sympathetic restoration to bring this stunning building back to its former glory, it is a splendid example of the talent of Pugin and is one of his true architectural masterpieces. In fact it is cited as being one of the 100 most endangered sites in the world, and its affluent heritage should never be destroyed. Manchester Monastery was constructed between 1863 and 1872, in the Gothic style, by Franciscan monks who came to the city to minister to the local Catholic community and continued to be a centre for religion, social and cultural events for 120 years. Today it serves as a venue for corporate, social and cultural occasions. However, the monastery is open to the public most Sundays from 12.00 to 4.00pm. The staff here are amenable, informative and happy to answer your questions and impart their knowledge of this stunning building, from its heyday until it fell into dereliction. Tours, concerts and special events occur here each week, so do check the website to see what is on, it is an unusual and inspirational performance space that lends to all art forms, and there is a real serenity to the building. If you get the opportunity to see an event here don't miss it, it is a truly wonderful experience. The Portland Basin Museum is located in the renovated 19th century Ashton Canal Warehouse in Ashton-under-Lyne, and is a part of the city's culture and heritage. The museum is set over two floors and seamlessly combines a bustling modern interior with a tranquil canal side setting. It is an inspiring family friendly museum that has something to appeal to all ages and tastes, with so much to see and do. There is a collection of permanent exhibits but there are lots of changing exhibits. Visitors can walk along a replica of an old street, complete with a bakers shop, pub, school classroom and much more, it is very authentic, you can dress up in old clothes, another section takes you through Manchester's history from past to present, there are displays of clogs, hat and gloves manufacturing, history on local industries such as coal mining also, there are lots of activities for younger visitors, as well as the model railway, play area, barge and outside area. There is a lovely cafe downstairs that has a warm and welcoming atmosphere with both indoor and outdoor seating areas, they serve a nice selection of beverages and light refreshments, that are reasonably priced. The staff here are friendly and knowledgeable and will happily answer and questions that you may have. There is no entry charge and lots of free parking too. The Portland Basin Museum holds so many interesting and informative exhibits, it is free, educational and interactive and should be on your things to see and do whilst in Manchester. Imperial War Museum North is an award winning hands on and interactive site that unearths the compelling stories that exposes how war shapes lives through numerous avenues. The museum is incorporated in Daniel Libeskind's emblematic building that symbolises a globe torn apart by conflict. There are numerous permanent exhibits and within the main exhibition space you will see JRR Tolkien's First World War revolver, as well as a history of conflict from 1914 to present, visit the six Silos where you can learn more about key themes. Each object on display has a history and individual story to tell. You can find out even more about these subjects at the hands-on Action Stations, take time to see the Big Picture Show, a 360 degree audio-visual experience that is only available at IWM North. At the Time Stacks you can hold real objects and uncover the stories relevant to them. All ages and interests will be entertained whilst at the Imperial War Museum North owing to all that there is to see and do, you will be immersed in this enthralling museum and its collections of memorabilia and information, that are brilliantly presented and described, in addition to sights sounds and voices. There is a cafe and it has a welcoming atmosphere, you will find a good choice of beverages and refreshments that are value for money. The museum is open everyday except December 24, 25 and 26 from 10am to 5pm and there is no charge for entry and it is a unique experience and should not be missed. The Museum of Science and Industry is an interactive museum, that is housed across five historic buildings, The Great Western Warehouse, 1830 Warehouse, Station Building, Power Hall and Space Hall, each is complete with sights, sounds and even smells. It includes permanent galleries as well as temporary exhibits. There is so much to see and do here, the museum covers the intriguing history of Manchester, through the ages, from past to present and celebrates the city's history and culture. Some of the highlights here include stepping back in the past to a cotton mill during one of the demonstrations and you can see what it would have been like to work in one, one of the biggest collections of steam mills is housed here and you can even brave a Victorian sewer, watch a show in the 4D theatre, see the country's most impressive indoor media walls, have a go in the experiment science centre and much more. The museum is open each day from 10am to 5pm excluding 24 and 25 December and 1 January and admission is free. The museum is easy to navigate and is well sign posted and the exhibits are well laid out with lots of information. The Museum of Science and Industry will appeal to all ages and interest there is something for everyone here and you can easily spends hours here exploring, it is learning in a fun and interesting environment. Manchester Town Hall is a prominent and distinguished historic landmark in the city of Manchester. It is a majestic building constructed in the neo-Gothic style back in 1887 and is considered to be one of the best examples of its kind in the country. Pride of place at the front of the entrance is a statue of The Roman Governor, Agricola who was a founder of the original fort of Mamuciam, from which the city originated. It is a true architectural gem both outside and inside with so many redeeming features, including, bee mosaic floor, spiral staircases, leaded and stained glass windows, murals, marble statues and painted wooden ceilings. The hall has a long and interesting history and has seen many changes. There is no charge to visit this stupendous building and you can walk around at your own leisure however, if rooms are being used for an event you will not be able to access them. You will find the staff to be friendly and helpful and they are willing to answer your questions. You can book a guided tour, they are informative and interesting and you learn so much about the buildings history, the guides are animated and knowledgeable. There is a nice cafe where you can relax with a lovely afternoon tea amongst the splendour of this building. If you are a resident or a visitor to Manchester don't miss the opportunity to visit this beautiful and ornate building, you will be surprised by all that it offers. St Mary's Church, The Hidden Gem is an important and historic building in Manchester. Established in 1794 to serve the poorest of the city's residents, it is now considered to be the oldest post-Reformation Catholic church in England. To this day it continues to serve as a place of worship and reflection to its congregation and visitors to the church. Once you step through the doors a feeling of calm descends on you. The interior of this intimate building is stunning with numerous architectural features that are quite breathtaking, from the entrance to the interior pillars, stations of the cross, stained glass windows and high altar, there is lots to see. St. Mary's Church is tucked away in the quiet back streets but worth seeking out if you are in the area to marvel at the amazing interior, it won't take long but, is definitely worthwhile. If you wish to attend a service or mass then check out the website to get the full details. The John Rylands Library is housed in a stunning late Victorian neo Gothic building, and was opened to the public on 1 January 1900, and is part of the University of Manchester. The library offers a comprehensive collection of services and resources to both actual and virtual visitors and has one of the world's best collections of rare books and manuscripts as well as lots of masterpieces. There is a continually changing schedule of events and exhibits that can be seen on the website. The interior of the library is absolutely beautiful with ornate ceilings, carved wood and panelling and bookcases, stunning stained glass windows, it is a grandiose building, so much detail, a real architectural gem. There is a lovely cafe that serves a nice selection of beverages and light snacks, everything is so tasty and fresh and great value for money. The John Rylands Library is an oasis for book lovers, with its vast collection of ancient books, a real cultural heritage for the city of Manchester. There is no charge to enter however, you can buy a souvenir guide or download one from the website. The John Rylands Library is worth making the time to visit, you could easily spend hours here admiring all there is to see inside and outside of the building without even looking at the huge collection of books, it will entertain you no end. Greater Manchester Police Museum will give you a real insight into what it was like to be a policeman during the Victorian era through to present day. The museum is located in a lovely historic building that has a many nice features including, intricate woodwork and stained glass windows. Within the museum is a 1879 police station and 1895 Court room that are authentic and give a real feel of this era, there is also a booking desk and original cells as well as a large selection of interesting memorabilia that includes, wanted posters, a number of different police vehicles, uniforms, weapons and a display of crude handmade weapons, and much more. You get the opportunity to try on the police uniforms and helmets! The museum and tours are free and are operated by volunteers, many being retired police officers, who are dressed in authentic historic police uniforms, you will find them to be friendly and knowledgeable, with lots lots of information and stories to bring the tour to life. If you are unable to make a the scheduled tour, private tours are run on certain days and these can be arranged in advance. Also exhibited here is a display relating to the Great War it is very interesting and informative. There is a nice shop that has a selection of gifts and souvenirs relevant to the police force. Greater Manchester Police Museum offers a real and informative insight into the police force and its history and makes for a great day out for all ages and interests. Cross Street Chapel has a long history of worship that can be dated back to 1662. Their philosophy is to allow individuals to think for themselves and will support you within their spiritual community. They are an all-embracing community that are connected by love and respect and not creed. They are very welcoming to all and are very accepting of new members to the congregation. Cross Street Chapel hold services on Sundays at 10.45am and on Wednesday lunchtimes at 1.20pm. Museum of Transport holds one of the country's largest collections of restored trams, buses and coaches and is located inside an authentic bus garage, complete with the original transport office that is exactly as it would have been back in its day. A visit here will transport you back in time to the Victorian era when travel was by horse and carriage through to present day where you can see a sleek model of Manchester's Metrolink tram. There has been much change and improvement in the modes of transport over the years and here at this museum you get a true insight into all the different modes and the opportunity to climb aboard these wonderful vehicles. There are more than ninety vintage vehicles on display including a 1920's solid tyred bus, trolley buses, a vintage fire engine, a brewer's dray and charras in addition to old ticket machines, uniforms, timetables, route maps, signs, photographs, tickets, posters, and placards advertising coach excursions and lots more. The exhibits are well displayed and have lots of detail on the accompanying information boards. It is operated by a volunteers who you will find to be friendly, approachable and enthusiastic and happy to answer any questions you might have. There is a a delightful tea room that is reminiscent of an old bus station buffet, it has a warm and welcoming ambience and is complete with 1950's decor, furniture and cutlery, it provides a lovely place to relax and enjoy a drink with a light snack. After your visit there is a nice museum shop that has a wide collection of souvenirs, books and relevant memorabilia including intricate detailed models. During the year the museum operates a number of special events so do look out for these. Museum Of Transport is suitable for a family day out there is something to interest everyone and lots to see and do, so take the time to visit this wonderful museum.